Russia's powerful GRU intelligence agency is facing international accusations that it carried out large-scale cyber attacks including a foiled attempt to hack into the computer system of the global chemicals watchdog. London has also accused two of GRU's officers of poisoning former double-agent Sergei Skripal and his daughter in the British city of Salisbury in March, using a perfume bottle containing a powerful nerve agent. 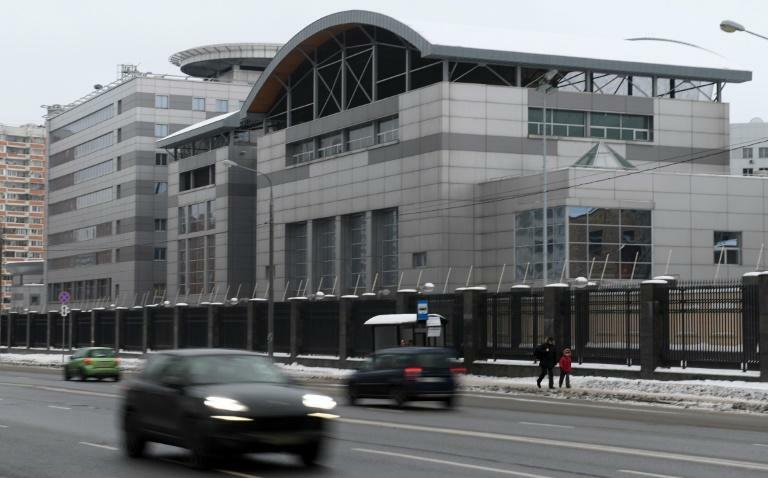 GRU stands for the Main Intelligence Directorate, Russia's military intelligence agency which is one of Moscow's three spy agencies along with the FSB security service and the SVR foreign intelligence agency. Still commonly known as GRU, the agency changed its name to the Main Directorate (GU) as a result of a reform in 2010. Its chief Igor Korobov reports to the Chief of the General Staff Valery Gerasimov and Defence Minister Sergei Shoigu. The agency's structure, staff number and finances constitute a state secret. Its official emblem is a black bat flying above a globe. It has an extensive spy network abroad and its highly-trained "spetsnaz" special forces have fought in various conflicts, including in Afghanistan and Chechnya. In recent years the agency has gained notoriety for its connection to some of Russia's most contentious actions abroad. On Thursday, the Netherlands announced it had foiled a hacker attack by GRU against the global chemical weapons watchdog OPCW. Britain and Australia also accused GRU of carrying out numerous major cyber attacks in recent years on Kremlin orders -- including one targeting the US Democratic Party during the 2016 presidential campaign. In July this year, US Special Counsel Robert Mueller indicted 12 GRU officers, accusing them of interfering in the US polls. The Bellingcat investigative team has linked the downing of MH17 in eastern Ukraine in 2014 to a GRU officer who it said "supervised the procurement and transport of weapons". The Netherlands said Thursday that a laptop seized from Russian alleged agents in the Hague showed activities in Malaysia related to the MH17 investigation. The agency has also been linked to an attempt to overthrow Montenegro's government on the eve of parliamentary elections in October, 2016. GRU officers are believed to provide military guidance to the Syrian army as well as rebels in eastern Ukraine, among others. In 2010, Putin famously said that Russian special services do not kill traitors, saying they "croak all by themselves". He acknowledged that Soviet authorities deployed assassins to get rid of enemies, but said modern Russia no longer does so. "Such units have been liquidated," he said. While describing Skripal as a "scumbag," Putin this week again dismissed claims Moscow attacked Skripal, saying: "No one had to poison anyone there (in Britain)." Earlier this year, former GRU chief Fyodor Ladygin also denied his agency's involvement. "The Russian intelligence structure where I had the honour of serving for many years...never -- I repeat never -- did such vile, stupid things," he told Russian television. British police accuse GRU officers, identified as Alexander Petrov and Ruslan Boshirov, of trying to kill Skripal and his daughter Yulia. Skripal, a former colonel in Russian military intelligence, was jailed for betraying agents to Britain's MI6 security service. He moved to England in 2010 as part of a spy swap. Several top GRU agents have defected to the West in the past. Vladimir Rezun, who defected in the 1970s, wrote a partly autobiographical book under the penname Viktor Suvorov. The book is entitled Aquarium, the nickname of the GRU headquarters in Moscow. "What kind of fish swim there?" he asks his boss in the book. "There's only one kind there -- piranhas."